Coming up with a lovely and great idea for a present isn’t something that you all can do. Imagination and practical thinking are features that some of you don’t posses. On the other hand, the desire is sometimes bigger than the possibility. Spending a lot of money for a birthday gift isn’t the best idea, if you are pressed by a mortgage payment or some financial issues. Sometimes, the conditions are even worse. You need to make some savings during the next few months and every present idea seems expensive! Though, you can still impress your dearest friend, your loving mum or beloved person. It takes some creativeness and willing. *For a woman that has everything – contemporary ladies these days usually don’t end up with a lack or something. 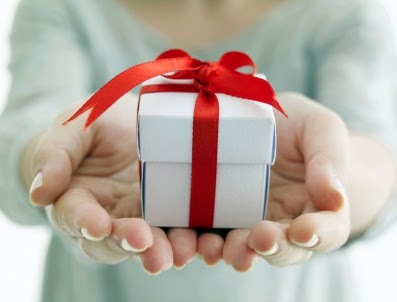 It is very difficult to come with some unique idea for a present that can fit and attract them! We suggest you to buy something Vintage for such a woman. It is fashionable and charming. Plus – decors, accessories and clothes in Vintage life are never enough! *For a true careerist or workaholic – instead of buying him something for the office area, better be original and give him a chance to get some rest or relaxation! He will definitely appreciate a comfy and soft cushion or a massage reservation! *For a prudent housekeeper – home is her castle and all her big goal and secret dreams are connected with a lovely and sweet domestic atmosphere, which never ends. However, this person is a bit tired of wiping, polishing and sanitising, too! Give the housekeeper a Scotchgard Protector! It is both – useful for her mission to maintain purity at home and preventive against eventual future cleaning procedures. *For an old fellow – remind him or her of the old days with a stylish photo collage embraced by a handmade frame. Craftsman speaks of your deep and sincere efforts in making a person happy, while the pictures from your childish years speak of themselves. *For your folks – a porcelain tea set can remind your mum and dad that you are always glad to come for a visitation. Tasting the homemade cookies and gossiping with your mother on a cup of tea is something you will never give up from!